A blaze that burned trees near an apartment complex in the Colina Del Sol area Wednesday morning prompted some brief residential evacuations, but firefighters extinguished the fire before it spread to any structures, authorities said. 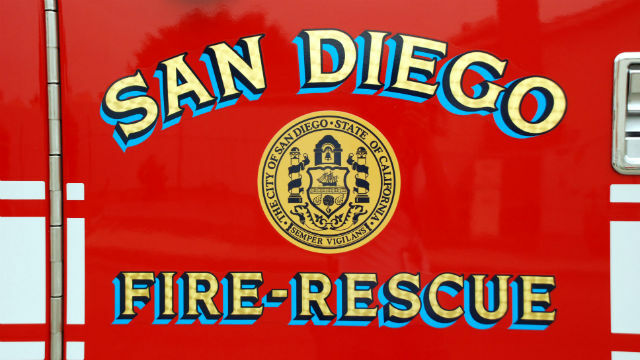 The fire was reported shortly before 4 a.m. near an apartment complex in the 4100 block of Altadena Avenue, San Diego Fire-Rescue Battalion Chief David Pilkerton said. As residents fled their homes, one resident used a fire extinguisher to try to douse flames in a dumpster, but the blaze spread to nearby palm trees, 10News reported. Crews arrived and knocked down the flames around 4:20 a.m., Pilkerton said. No injuries were reported and no structures were damaged by the fire.